Create a Facebook Page for a business now!! Have you decided to create a Facebook Page for your business? Wondering how to get your Facebook Page started? This article helps you to set up a new Facebook Page for your business. 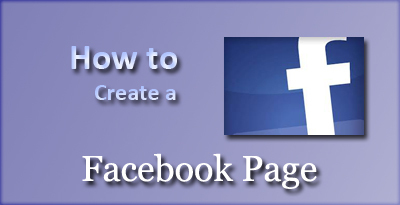 If you have a Facebook account, then you can able to create a Facebook Page within few minutes easily and quickly. Fortunately, you don’t have to be a web developer, web designer, marketing expert or tech savvy to create an enticing Facebook Page. Log into Facebook: Don’t you have a personal profile set up on Facebook? First, create your personal profile rather than just creating a “business-only” Facebook Page. Your Business Page will be tied to your personal profile; however both the Pages are completely separate. No one can view your personal information, not even your name, from your Page. Select a Category: Open the link http://www.facebook.com/pages/create.php, and select any one main category that suits your business very well. Don’t select Local Business or Place if you don’t have any physical storefront. This is because Facebook will automatically turn your Facebook Page into a Place as well. Name your Page: Think well and provide your Facebook Page name carefully. If you have a clear brand name, then naming your Page is easy. Have keywords in your Facebook Page title, because this helps your Page to come up in Facebook search. Once you have provided the name, select the check box next to “I agree to Facebook Pages Terms” and click Get Started. Add your profile picture: Your profile picture will be appearing next to each and every post that goes into the news feed from your Facebook Page. So, add an image relevant to your business, for example: brand logo, as your profile picture. Once you have added your profile picture in your Page, then click Next. Add your basic “About” information: The About Page is the main page where you can briefly provide the information about your business. As this page is indexed in Google, make sure that you provide descriptive and keyword-rich content in this page. Also, ensure that you link your business website in this field, so that the visitors can able to easily find out your website. Here you can also add other websites that you want to direct the visitors to. Once done, click the Yes radio button and click Save Info. Like your own Facebook Page: Facebook allows you to give “like” to your own Facebook Page. You can give “like” to your own page if you want, else you can skip it. Don’t invite your email contacts: Facebook displays a page where you can invite your email contacts. However, until or unless your Facebook Page is updated a bit more, it is better to avoid inviting your email contacts. Instead, create your own email message and send it directly from the email service you use. Start sharing: Facebook allows you to share your first status update. You can either share your update now or you can skip this step. But, before you start inviting people to like your Facebook Page, you can have many status updates on your timelines, which makes people to see the types of things you are going to be sharing. Add a cover photo: Read the Facebook’s Cover Photo terms properly, and then add a cover photo to your Facebook Page accordingly. Before adding your cover photo, make sure that it meets all the guidelines. Then, click the Add a Cover button and select Upload Photo. Choose your photo, place it properly on your Page, and click Save Changes. Review your permissions: Go to Edit Page, manage permissions from the admin panel and then review how your permissions are set up. Here, you may want to change the Profanity Blocklist to Medium, and also your Message button. Ensure that you monitor all the messages there, and also that you are making it easy for the people to send you messages in a different way. Your Facebook Page is almost ready! It’s now time for you to get some likes on your Page! Author K2B SolutionsPosted on March 24, 2014 Categories GeneralTags create facebook business page, custom facebook page, facebook business page, facebook page setting, how to create facebook page, set up a facebook pageLeave a comment on Create a Facebook Page for a business now! !